I purchased a number of these shirts for my husband and am glad I did. He loves to wear these to work. The colors are bright and the material is super soft and comfortable. I was thrilled to get these at such a great price (under $6/each). 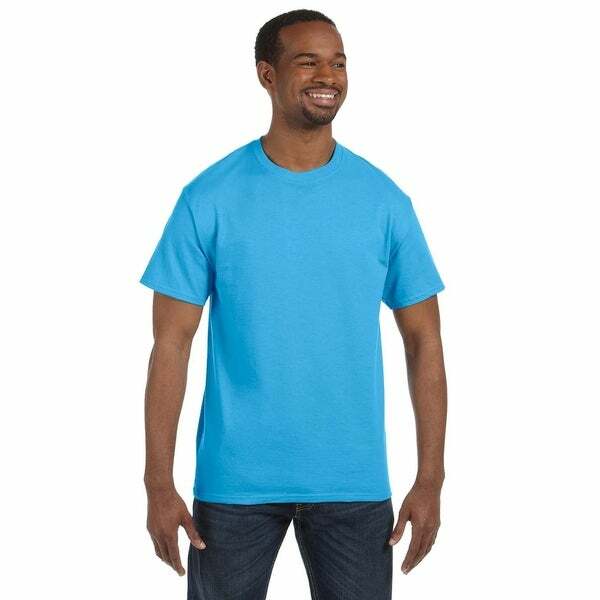 Hanes are definitely a good buy if you’re looking for something that’s durable, comfortable and holds their color and will last a while. True to size and great colors. Quality material and soft. The colors were very important to match shoes and outfit. My Husband likes James T shirts for there soft material and simplicity. Price is great too! Nice shirt Great color and good price !! !